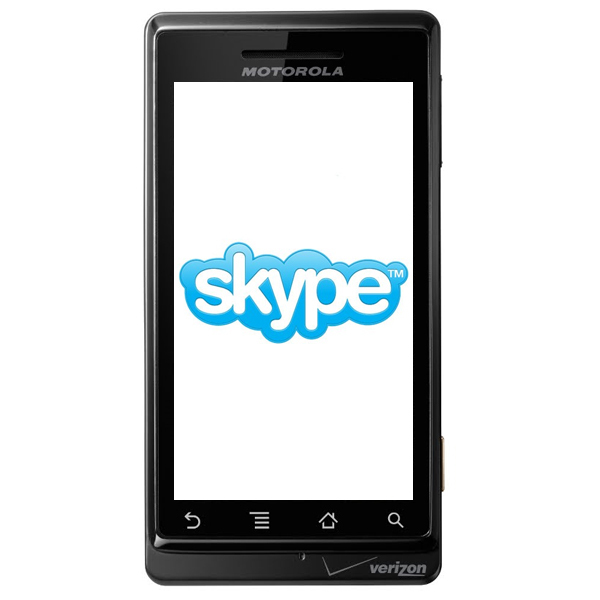 Verizon Wireless and Skype have announced a new partnership that will offer Skype calls to Verizon customers over 3G from March of 2010. Verizon customers will be able to make and receive unlimited Skype to Skype voice calls to any Skype users anywhere in the world, they will also be able to call international phone numbers using Skype out which means they will be able to take advantage of Skype low call costs. They will also be able to send instant messages over 3G to other Skype users, and they will be able to be connected to Skype all the time just like on your computer so you will be able to see your friends online. Initially the new service, Skype Mobile will be available for a limited number of handsets which include, the Motorola Droid, Motorola Droid Eris, BlackBerry 9530, BlackBerry 8530, BlackBerry 9550 and BlackBery 9630. The service will be expanded to other handsets in the future. This is great news for Verizon customers, and I am sure this will reduce their mobile phone bills. Verizon and Skype must have come up with some deal to share revenue on this, otherwise Verizon would be losing money as more customers would probably use the Skype service as it is cheaper than regular mobile phone calls, although no details of this have been announced.